Inta is introducing its slickest showering range to date, with a family of beautiful Italian-crafted, highly polished chrome products that give users the most emotive and desirable bathroom experience yet. 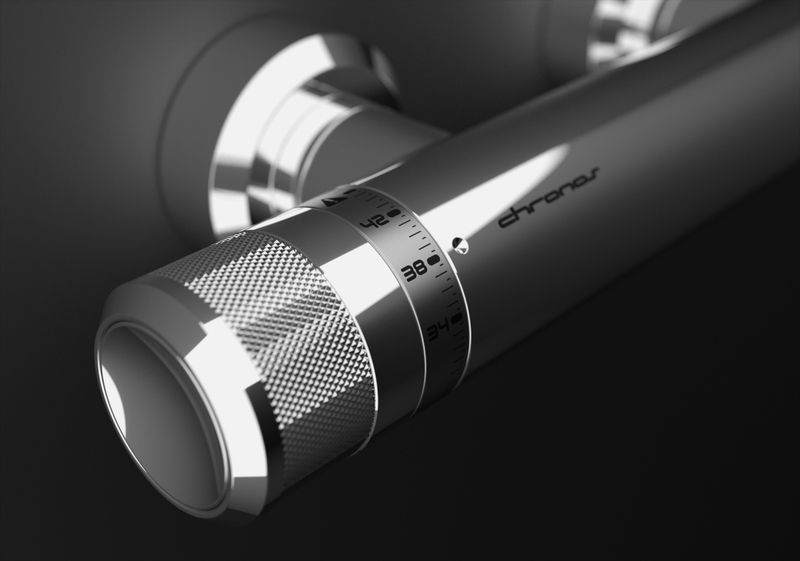 The infinitely stylish Chronos range boasts patented technology that enables users to exercise complete control over the temperature and flow of the products, which includes a thermostatic bath tap, a bidet tap and a host of aesthetically appealing showers. Alongside game-changing design, quality and control, the Chronos range also has green credentials, with an in-built eco button that can override settings to deliver energy-conscious flow rates and temperatures. This, a measure that can be implemented at the push of a button, means households can save money as and when they feel necessary. The new products, which Inta is hailing its most desirable bathroom range yet, are designed to meet the style requirements of high-end, boutique-inspired bathrooms. Combating the age-old trade off between style and safety, Chronos retains all of Inta’s famed anti-scald features, with cool-touch bodies being standard across the entire range. Stuart Gizzi, director at Inta, said: “We believe the Chronos range marks a step change in terms of the quality and visual appeal of showering products in the market. The cutting-edge design and elegant Italian craftsmanship make for a truly beautiful, highly desirable range. For more information on the Chronos range, or any other Inta product, visit www.intatec.co.uk. A leading light of the decorating industry, Johnstone’s, is celebrating its 125th anniversary this year.